Over the past 20 years, clan elders in Somaliland's Guurti, the upper house of parliament, have negotiated inter-clan disputes and kept the peace, carefully steering the self-declared republic away from the fate of south-central Somalia, which lapsed into a long, bloody civil war after the 1991 fall of the government of President Siyad Barre. In 2001, Somaliland passed a constitution that installed the Guurti, a body of traditional elders, in the upper house, giving them legislative authority. But they have never been elected, and their constitutionally mandated six-year term limits have effectively been ignored. Now, leaders across Somaliland are in serious discussions about how best to reform the body to avoid a constitutional crisis. "The Guurti is a traditional forum for elders for mediation," Edward Paice, director at the Africa Research Institute in London, told IRIN. "Since time immemorial it has been a way of settling disputes." Elders used to convene under an acacia tree to arbitrate rows, using a customary legal process known in Somali as ‘xeer’. Disputing parties would bring their concerns to the elders, and the proceedings would continue until a resolution was achieved. Leading up to the fall of Somali president Mohamed Siyad Barre in 1991, Somaliland engaged in a brutal secession war with Somalia. In May 1991, Somaliland declared independence as Somalia dissolved into civil strife and eventual state failure. When Somaliland was torn apart by violence, the Guurti stepped in. "This was one of the key institutions that was functioning at the time," said Mohamed Farah Hersi, a researcher at the Academy for Peace and Development in Somaliland’s capital, Hargeisa, speaking at an event in Nairobi, Kenya. Clan elders came together for a number of peace conferences in the early-1990s, the most prominent of which was the Elders Conference at Borama in 1993. This led to the creation of the 82-member Guurti, which formalized the mediation system as a parliamentary body. In Borama, the Guurti also elected Somaliland's president and vice president. "They were peacemakers for Somaliland," acknowledged Markus Hoehne, a strong critic of the contemporary Guurti system and a research fellow at the Max Planck Institute for Social Anthropology. "Those guys put their lives on the line. They went to different conflict zones, often at great personal risk." Hoehne believes that in the early 1990s, the Guurti was instrumental in rebuilding the country, but says that now the role and composition of the body is outdated. The Guurti was responsible for drafting Somaliland’s constitution, which was passed in a 2001 referendum by an overwhelming majority. According the constitution, the Guurti "shall have special responsibility for passing laws relating to religion, traditions (culture) and security", in addition to reviewing legislation passed by the House of Representatives. "They are the centre of gravity. They are the cornerstone," Adam Haji-Ali Ahmed, director at the Institute of Peace and Conflict Studies at the University of Hargeisa, told IRIN. "One hundred percent of people in Somaliland trust the Guurti. They preach about peace." Why was the Guurti so effective? Somaliland has a large number of clans and sub-clans, each of which has its own structure of authority. Because its 3.85 million people are spread out over a large area - 55 percent of people are nomadic - governing from a central administration is tricky. "We have a highly divided, fragmented society," said Asmahan Abdelsalam Hassan of the NAGAAD Network, Somaliland’s umbrella organization for women's rights groups, at an event in Nairobi. In many areas of Somaliland, customary law is the most effective and often the only way to mediate and address disputes. To negotiate between warring factions, Somaliland turned to their elders, who were in charge of each group. "They got their authority from customary law, from the clans," said Ahmed. "They built on traditional mechanisms - there was no one from outside telling them what to do," said Paice. "There is a tradition that no Somali meeting ends until a consensus has been achieved." The 1993 Borama Conference lasted four months, but it resulted in a comprehensive framework and roadmap for a way forward. A charter with five guiding principles was drawn up, and was used as a temporary governing structure until a constitution was drafted. Because many of the conference participants had strong ties to the Somali National Movement - the secessionist movement that was key to the formation of Somaliland - they were very effective at coordinating the demobilization and disarmament of rebel groups. This was a crucial step to achieving peace. "Tradition is very important for peace-building, but not for state-building"
"These elders from the different clans want the welfare of their children, and their children after that, to be preserved," Jean-Paul Azam, professor of economics at France's Toulouse School of Economics, told IRIN. "For them, what matters is the collective evolution, what happens to the clan." Minorities also have significant representation within the Guurti. "One of the main [principles] of the Guurti is inclusivity, that all clans should be included," said Hersi. It is the only decision-making body that rests fundamentally on power-sharing between all groups. The House of Representatives tends to be dominated by the larger clans, so the Guurti is a crucial mechanism to engage all of Somaliland society. However, since 1993 clan alliances have shifted and clans themselves are no longer drawn along the same lines. This means that the composition of the Guurti will need to change if it is to reflect all of Somaliland. The Guurti has never been elected. If a clan elder dies or retires, the seat is passed down to one of his descendants. This, many feel, is undermining the legitimacy of the body. "Many of the experienced people and the old people have died," said Ahmed. "The young people are coming who know nothing about the culture, about customary law, about the history of Somaliland." The constitution provides no direction on how Guurti members should be chosen, saying simply that "the members of the House of Elders shall be elected in a manner to be determined by law." A law governing this decision has yet to be drafted. "We believe that Somaliland's democratization has made tremendous progress. But there are many challenges ahead with the Guurti,” said Mohamed A. Mohamoud, executive director of the Somaliland Non-State Actors Forum (SONSAF). There are also accusations that the Guurti has lost independence and now bows to pressure from the president. Its unilateral decision to postpone presidential elections in 2008 was viewed by many as a sign that their impartiality had been compromised. "A lot of the descendants of the original members see it as a business opportunity. That's not in keeping with the original ethos," Paice told IRIN. Traditionally, elders were not paid for their services on peace-keeping and arbitration. In addition, many consider the Guurti ill-equipped to handle some of their legislative responsibilities. "There is by no means universal literacy in the Guurti," Paice added. "If it's a 450-page finance bill, this is problematic." "Tradition is very important for peace-building, but not for state-building," noted Hersi. "Elders can build peace, but they cannot build a state." Some analysts say the Guurti needs to be more gender-inclusive in its representation. 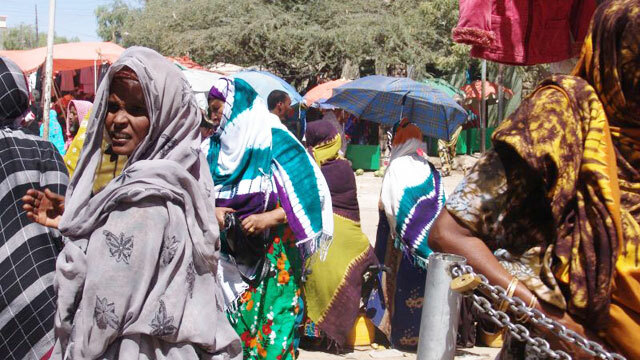 Traditionally, women are not appointed clan elders, and the first House of Elders after Borama was an all-male body. Since then, a few women have inherited seats from their husbands, but they still represent a very small minority. "Cultural and religious misperceptions undermine women's political participation," said the NAGAAD Network's Hassan. She argues that while women play an important mediation role in within Somaliland society, they are significantly underrepresented in terms of political participation. She also points out that because women were not included in the drafting of the constitution, no special protections for them exist within the current legislative framework. NAGAAD and other civil society organizations lobbied for a bill in parliament that introduced the idea of reserved quotas for women and minorities for elected positions. Although the proposed legislation had the support of the current president, it was thrown out by the House of Representatives. How can the Guurti be reformed? "The dilemma of the Guurti is that their legitimacy has been decreasing over time, but ultimately they are the the only recourse that Somaliland has for these kinds of issues," said Matt Bryden, former coordinator of the UN Monitoring Group on Somalia and Eritrea and director of Sahan Research, a think-tank focused on the Horn of Africa, told IRIN. "It's very risky for Somaliland to close their eyes and hope for the best." There is much debate over how to reform Somaliland's House of Elders, if at all, and what mechanism should be used to select its members. Essentially, there are three broad viable methods for choosing them: through election, selection by quotas or nomination by clan. Azam holds that electing the Guurti would destroy the effectiveness of the body. "The legitimacy of these people is due precisely to the fact that they are not elected," he said. "Their legitimacy is due to their traditional base." He points to the fact that the Guurti have been very organized in collecting taxes and controlling violence. "The basic idea, when you build a new country, is you have to have basic fiscal revenues," he said. In a research paper, he examines the role of the Guurti system in collecting taxes from the population. He believes that, at least for the next 10 to 15 years, the Guurti can informally negotiate a power-sharing solution and does not need major reform. Hoehne strongly disagrees, and says proper governance demands more professional, elected legislators, not clan elders. "If you want to regulate you need to have an official system - otherwise you're just ignoring the contradictions," he told IRIN. "I would recommend just doing away with the Guurti and establishing legal pluralism." Still, Hoehne acknowledged that the symbolic attachment of the Guurti to Somaliland society would mean that it is highly unlikely that they will choose to simply do away with the system. "You would have to develop a face-saving strategy [for the Guurti]. You have to offer them a nice way out. Or it will lead to very unpleasant results," he said. SONSAF's Mohamed asks: "If the Guurti were to be elected, what's the difference between the House of Guurti and the House of Representatives?" One solution would be to create a criterion for selecting elders, based upon the notion of inclusivity among disenfranchised groups. "I see the Guurti acting essentially as a senate. My personal view would be to lean to regional representation, with equal representation for all regions," said Bryden. He also feels that such a system would open up the eventual possibility of including quotas for women and the youth within the Guurti. But before any decision regarding the method of selection to the Guurti can be made, Ahmed argues that the process for becoming a clan elder needs to be standardized. "We have to organize the elders system first. We have to regulate it - there should be law," he said. "Then we have to think about and explore a way to make the House of Guurti a very competitive, equal-opportunity house." The other question revolves around what the role of the Guurti should be, and whether they are qualified to take a legislative role. "To have a traditional house would be quite useful," said Paice. "There could still be a national council of elders, but who are wholly impartial and outside the system." But Paice feels that whatever the solution, it needs to be one that is home-grown. "The right answer is that it's for them to decide," he said. "These things are difficult, but I think that they have to be solved by the locals with their hands to the pulse."